Words & phrases are the basic of any language, the more you know, the more you understand. 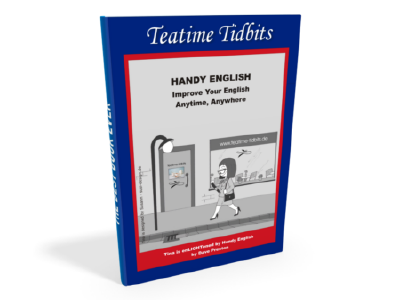 Handy English 1 introduces words & phrases to educate, enlighten and entertain you with some of the Teatime Titbits favourites like Wonderful Wednesday Words, The language of thingybobs & Randomsome. As a PDF book, you can transfer to any device and read at any time, any place. Immerse in Handy English and improve your English vocabulary Titbit by Titbit.